You can have the most creative mind but if your business approach isn’t commercially viable then what? Yumi Morrissey has been conscious of this challenge since opening her fashion label, Zilpah tart, more than a decade ago. The designer’s determination to juggle her creativity with the realities of running a business inspired Yumi to just launch a corporate line of women’s clothing. Yumi completed a Bachelor of Design (Fashion Design) at the Canberra Institute of Technology in 2007. Today, Zilpah tart—named after Yumi’s late grandmother—is one of Canberra’s most successful independent fashion labels. Yumi is well known for the bright, unique digital prints she creates using photographs she captures in and around Canberra. She designs her own garments and makes them to control quality and ensure a truly Australian made product. Yumi also learned to talk direct to existing and potential customers—and listen. The new corporate collection features dresses in blacks, navy blues and royal blues. They’re still made with quality polyester jersey and so don’t crease, crinkle or need ironing. They also wash easily, saving customers from having to dry clean. Zilpah tart’s exclusive prints will always be part of the label’s aesthetic. “I have a long list of customers who have been buying printed garments from me for years, and many buy at least one piece from each season’s collection,” says Yumi. 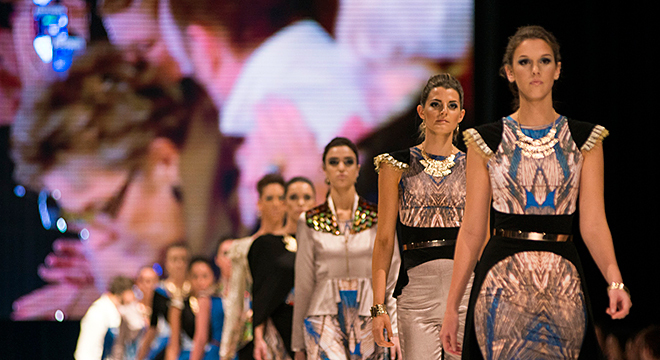 Yumi has showcased her collections at FASHFEST, Canberra’s annual red-carpet fashion event. She’s sold to customers across Australia and overseas in more than 10 countries. Yumi sells her corporate range through the Gungahlin Collective and her website. She also sells Zilpah tart out of the Design A Space, Manchester Lane, Melbourne. In the meantime, Yumi is in full swing designing her 2018 autumn/winter collection. She plans on introducing new fabrics, such as wool jersey, wool and cotton sateen. She’s also designing new pieces such as coats (with her famous bright prints as lining). More info here.